Successful trading is all about objectively trading high-odd setups, entering with proper position size, then using proper money/risk management to manage with the charts. In this video, you will learn one of Master Trader’s most compelling bullish setups: the Bullish and Bearish 1-2-3 Continuation patterns. You will learn the specific setup and how to enter and manage. You will see examples of quality setups and poor ones as comparison. Then we will let you be the judge on some! 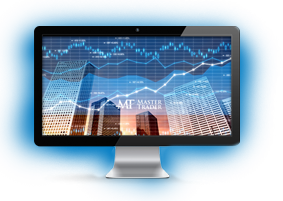 Master Trader trades any liquid stock, ETF, option, commodity or currency with a compelling bullish or bearish pattern on Multiple Time Frames (MTF) using Technical Strategies (MTS). We teach investors and traders how to generate income and wealth in the markets trading stocks and options. Thank you for being a loyal subscriber and feel to email us with any questions or comments on anything. Stay in-tune with the markets and trade Stocks & Options with confidence!